Shockingly, there are 100,000 people in the UK living with Multiple Sclerosis. The side effects of Multiple Sclerosis can have a huge impact on a person’s quality of life. 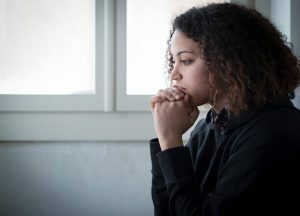 Studies over the years have found the condition to affect self-esteem, social life and mental health. Surprisingly, one key problem affecting quality of life in MS patients is incontinence. A review on the treatment of bladder problems in MS patients studied the impact that incontinence has on individual lives. 70% of patients classified the impact bladder symptoms had on their life as “high” or “moderate”. Fear of having an accident can be very worrying and can affect all aspects of life including work, social life and relationships. Are you experiencing Urinary Incontinence and Multiple Sclerosis? Post a new question on our forum and share your experience with others. The specific symptoms that appear depend on which part of your central nervous system has been affected. Symptoms are therefore different for each individual. When the brain and body don’t communicate effectively, this causes control issues for bodily functions such as urination and voiding. Continence also requires a coordination between bladder muscles and the sphincter, so any disruption in the signals can create unwanted problems that can be embarrassing to manage. 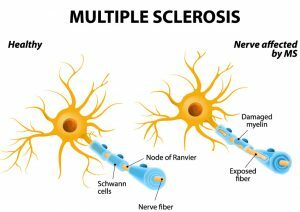 Nerve damage from MS can even affect how the body interprets the signals between the brain and the bladder. The muscles that store the urine and the muscles that empty the bladder are therefore often affected. Unwanted leakage can occur when lesions block or delay transmission of nerve signals in areas of the central nervous system that are in charge of controlling the bladder. This can cause sudden leakages. Mark, Multiple Sclerosis blogger and campaigner asserts, “during the journey I suddenly felt the need to pee. Not the slow, rising need everyone normally feels after a few drinks. No, a sudden switch. From no need at all to desperation”. The most common types of incontinence caused by Multiple Sclerosis are urge incontinence and stress incontinence. Many MS patients are less mobile, which can often lead to constipation. As a result, also sometimes lead to overflow incontinence. It is important to pay attention to any changes you notice in your urination pattern. Noticing that you urinate more frequently than you previously did is a main warning sign of incontinence. Finding you leak urine and can’t reach the toilet on time is another key issue that should not just be ignored. Additionally, finding you wake more than once a night to urinate is something that shouldn’t be classed as normal. Sometimes, medications may be needed for your circumstance and you will be prescribed the most suitable option for you. Symptoms of incontinence are often treatable and should not be something you simply learn to live with. Healthy bladder function is essential for long-term kidney health, prevention of infection, self-confidence and quality of life. It is therefore vital to see a Doctor about your problems to improve your quality of life. Multiple Sclerosis can also disrupt the impulses to the muscles that are involved in emptying your bowel. Read our tips and advice on living with faecal incontinence.